This fibreglass swimming pool has ideal size for any pool workout. It is one of our most popular pool shapes and with its slim versions, it also fits into narrow blocks. A swimming pool perfect for workouts and family fun. Traditionally athletes ran or swam countless laps to maintain fitness. Today, new scientific training methods combine a variety of exercises into one fitness program. The X-Trainer swimming pool is the ideal size to maximise the effectiveness of any pool workout. X-Trainer is the popular choice, however, you can choose from other fibreglass pools in our portfolio. 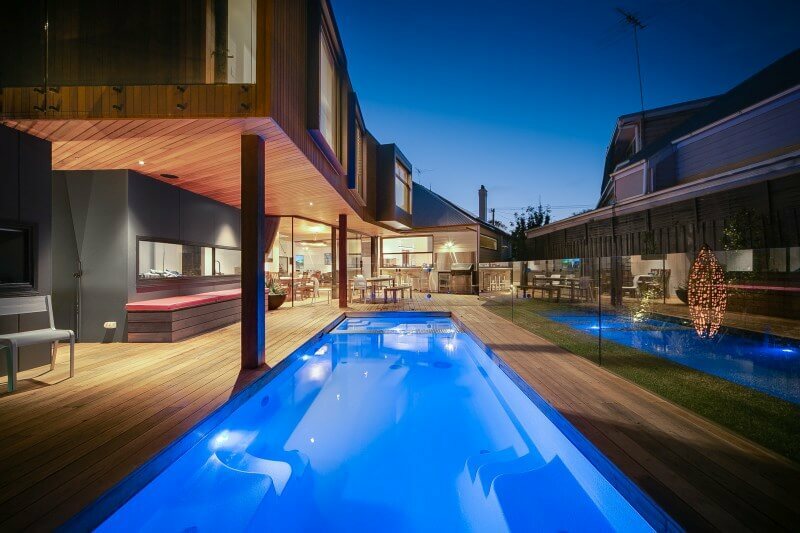 When a swimming pool in Melbourne, then with Compass Pools Melbourne! Compass Pools Melbourne is the most awarded fibreglass pool company in Australia. We have received numerous awards for our pools and spas installations. For 2016, we have been (among other awards) selected as the Highly Commended Award Winner 2016 in the category Best Residential Fibreglass, Acrylic, or Vinyl-Lined Pool and Spa Combination by SPASA Victoria. If interested, you can browse through more of our awards for pools and spas installations. 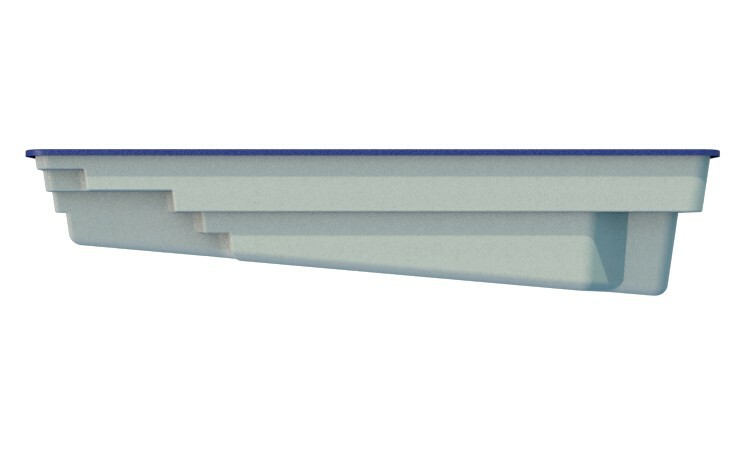 Our pools can be installed as inground pools or above ground pools using our unique Maxi Rib Technology. The latter enables us also creating infinity pools with disappearing edges using the X-Trainer pool shell.